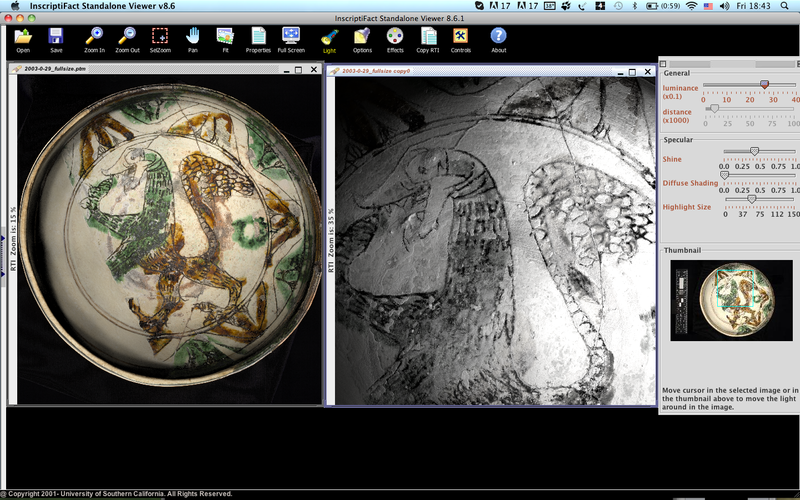 The first pilot projects for the imaging center were organized with two major cultural institutions in Nicosia: The BOCCF and the Leventis Municipal Museum. 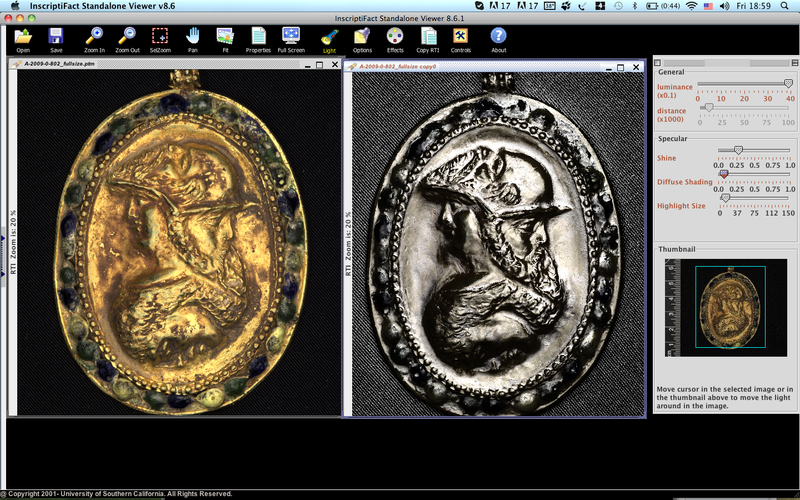 Team members tested all available imaging systems on a wide range of materials and objects from the collections of our collaborators that included coins, medieval ceramics, jewelry, minor arts, icons, paintings, wood carving etc. These efforts provided great opportunities for the testing and optimization of imaging systems. 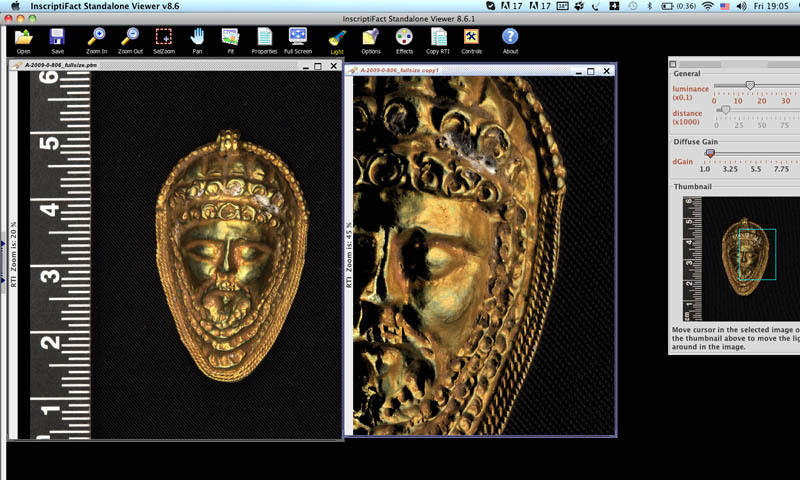 At the same time, they revealed the potential of RTI technology to museum curators and archaeologists thus preparing the ground for more thematically focused research initiatives. Pilot projects – Bank of Cyprus Cultural Foundation (BOCCF)- Leventis Municipal Museum of Nicosia by ICACH is licensed under a Creative Commons Attribution-NonCommercial-NoDerivatives 4.0 International License.